ALA-PDT is a safe and efficacious therapy for the treatment and rejuvenation of sun-damaged skin, AKs and actinic porokeratoses, and acne. Clearance rates are typically very high with only several treatments. ALA-PDT does not require prolonged application and contact time compared with chemotherapeutic agents, resulting in reduced adverse events. Further, compared with other topical or systemic therapies, ALA-PDT is cost effective when applied to multiple lesions or broad areas. 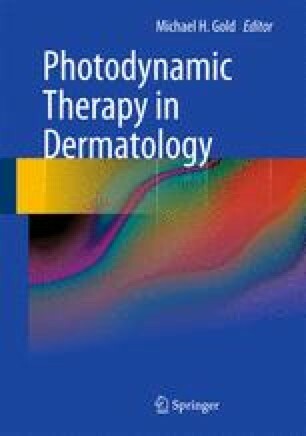 There may be some disadvantages associated with ALA-PDT including the downtime involved due to sun avoidance following a treatment, and the small-to-moderate risk of postinflammatory hyperpigmentation that directly relates to your skin type. In addition, many patients require multiple treatments to produce the desired results. Overall, ALA-PDT therapy provides a suitable alternative for treating sun-damaged skin, AKs, and acne.